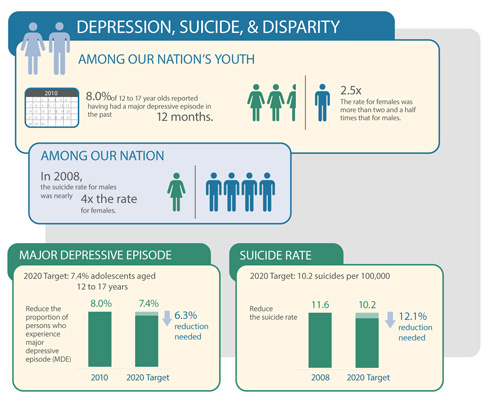 8.0% of 12 to 17 year olds reported having a major depressive episode in the past 12 months. 2.5 times The rate for females was more than two and a half time that for males. In 2008, the suicide rate for males was nearly 4 times the rate for females.